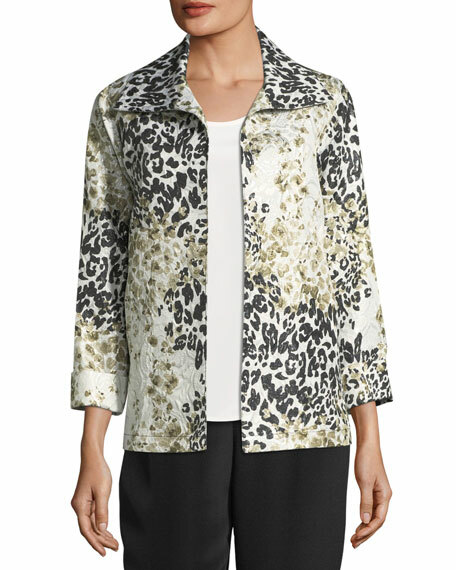 Caroline Rose "Double Take" jacket combines animal and floral jacquard with a touch of shimmer. 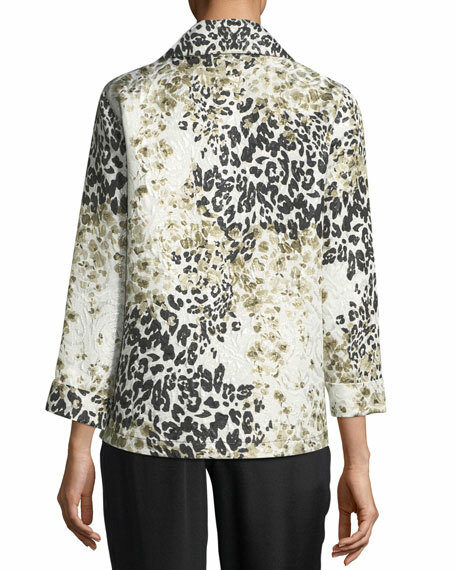 Flattering face-framing collar; open front. For in-store inquiries, use sku #2418276.